The average roof replacement costs range from $3.19 - $4.43 per sq.ft. (for asphalt shingles) to $7.35 - $10.73 per sq.ft. (for metal/wood, etc). Your actual cost will vary depending on roof size & complexity, and your location. This calculator estimates accurate local installation prices for 10 different roofing materials. You will see three price estimates - LOW-END, MID-RANGE and HIGH-END. These are based on the National Average cost of a new roof. To better understand which price range you should choose, see our Roof Value Guide. To get local quotes, please provide your Zip Code and fill out an estimate request. Our calculator is based on the US roof market, and prices are calculated in USD. While Canadian market is very similar, due to currency fluctuations, you should also use the current exchange rate to get a more accurate number. This tool provides quotes for 10 most popular roofing materials, which can be grouped by type (Asphalt, Metal, Flat and other/specialty products). Here are average prices that contractors across the US charge to install/replace a 1500 sq. ft. roof, including removal of one layer of old shingles. Note: Above prices are based on contractors prices in our Local Roofers Directory, and 582,558 roofing projects estimated by RoofCalc.org. Prices vary by state (see regional details below). Step 1: Enter you house/building/structure ground dimensions, including roof overhangs (if your roof has overhangs, ADD [overhang width * 2] to each house side that has an overhang). Step 2: Select roof slope/pitch/angle. This will help us accurately calculate your roof area. Step 3: Select roof complexity. For Cape/ranch homes - use "simple". For Victorian type homes, with dormers / towers and multiple slope sections - use "cut-up". For moderately difficult roofs - use "medium". Use your best judgement for this option. If your roof is very cut up, and you select the "simple" setting, your estimate will NOT be accurate. So, when you get price quotes from local roofers, they will be much higher. Step 4: Select tear-off (old shingles removal). We recommend to always remove old materials, before installing a new product. This will greatly extend the life of your roof. However, tear-off is not required, and won't even void the warranty for most materials, as long as you have no more than 2 total layers. Step 5: Select your home/building height. Number of floors affects ease of access, and as a result the total price. Step 6: Choose your desired material: 30/50 years Asphalt Shingles, Metal Shingles, Standing Seam for steep slope application, and PVC / TPO / EPDM rubber / Built-up /TAR & Grave for low slope & flat roofs. Step 7: Select your region (use the map below to match your state to the region). "Local" Prices - REGION Setting To get a more accurate calculation, select where you live to get an average price for this region. This will not be 100% accurate, but will work for most people. What's the best roofing material? 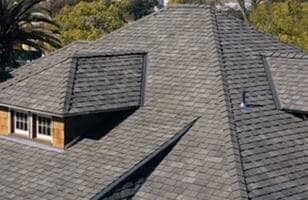 Many homeowners looking to do a re-roof, are not sure which material would be appropriate for their house and budget. Despite the growing number of options, most roofs installed in the US (about 67.53%) are still the tried and true asphalt shingles. This is because they offer a good combination of value, aesthetics and durability. Composite shingles (3-tab and architectural) are the cheapest roofing material out there. They are also DIY friendly and quick to install. Here is a tool that shows asphalt shingles prices, based on YOUR roof size (move the slider left or right to adjust measurements). A viable alternative to classic asphalt shingles are metal shingles, made either of steel or aluminum. They provide great curb appeal, along with superior durability and weather protection. In general, metal roofing has enjoyed a major spike in popularity over the last decade. Out of all premium roofing options, metal is the most affordable, and offers lasting protection in any climate. The average lifespan of a metal roof is about 50 years, but many last a few decades longer. For green building enthusiasts and homeowners that want to save the most on heating and cooling costs, metal is also the best material. Most metal roofs are manufactured from 50-80% recycled materials, and are Energy Star rated as a cool roof. This allows homeowners to save anywhere from 15-35% off their monthly energy costs. Metal panels are also ideally suited for solar installation. In fact, this is the recommended roof for homeowners who are considering powering their homes using solar panels. Other popular roofs include: cedar shingles and shakes, clay and concrete tile, natural and polymer slate. 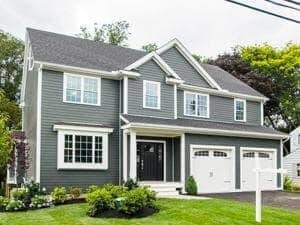 Each one boasts a unique curb appeal, and is typically chosen to match a particular architectural home style. Doing a complete re-roof is a complex and expensive project. Sometimes, full replacement is not necessary, and doing a repair is the more appropriate course of action. Hiring a pro to repair your roof typically costs around $500-700 for asphalt shingles, and $1,200-1,500 for metal, wood, and clay roofs. Slate repair is a lot more pricey, and can start from $2,000-3,000. However, doing an expensive roof repair is still thousands of dollars cheaper than replacing the whole roof. In general roof replacement is warranted when your roofing material is nearing the end of its service life. The average lifespan of different materials varies broadly from as little as 12-17 years for asphalt shingles, to as much as 100+ years for natural slate. - There is visible shingle discoloration as well as dark streaks on many areas of the roof. Overall, it looks very old and ugly. Another reason why a roof may need to replaced is due to poor installation, which causes continuous leaks and other problems. Sometimes the install can be so bad that its not worth it to keep investing money in repairs. Moreover, if your roof has sustained major damage due to ice damming, fire, hail, hurricane, or an earthquake, etc, its best to get a new roof. Its best to do a professional roof inspection every few years to determine what shape your roof is in, and fix any minor issues that are discovered. Paying for proper roof maintenance can add many years of service to your roof. Cost of materials: may be affected by changes in the crude oil prices, seasonal rate spikes, local market conditions, supply and demand, as well as natural disasters, such as hurricanes, floods, etc. We regularly update the calculator, so it reflects current materials prices. Installation complexity: many factors are at play here, including: design of your roof (simple or cut up), accessibility, roof pitch and size, number of storeys in your house, number of penetrations and valleys, etc. A roofer will be able to provide an accurate estimate only after doing a physical inspection of your roof. Labor charges: the actual cost of professional installation will depend on local economic conditions, competition among roofers, costs of liability and worker's compensation insurance for the contractor, waste dumping costs, as well as overhead and profits. See how we came up with the installation prices for this calculator in our roof labor cost guide. Location: your total project cost may vary SIGNIFICANTLY, depending on where you live. For example, if you are in the Pacific region (CA, OR, WA, AK), you will pay 18% more than the National Average. If, on the other hand, you are in the West South Central (TX, LA, OK, AK), you will pay 16% less than the National Average. For more info on how your location affects the cost to install a new roof, go here. 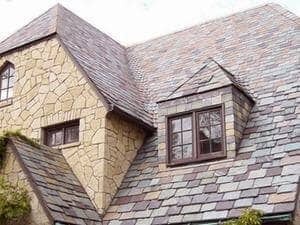 Roof Shingles Calculator - estimates roof area, materials and installation costs of Asphalt Shingles, for Gable and Hip roofs. Flat Roof Calculator - estimates replacement costs of low-slope (flat) roofs, single ply membranes (EPDM rubber, PVC & TPO) and built-up roofs (Tar & Gravel, Modified Bitumen), as well as insulation, parapets, penetrations and drains. Roof Rafters Calculator - provides material list & prices of lumber for roof rafters / trusses. Roof Pitch Calculator - gives you accurate roof slope, based on roof run (width) and rise. Also converts roof pitch to degrees. Seamless Gutters Calculator - helps you quickly price out aluminum seamless gutters - includes materials and installation. Note, that rain gutters are an essential part of house waterproofing. They prevent water from getting behind the siding, damaging house walls, insulation and foundation, as well as protect your landscaping. Metric Roof Calculator - should be used if you live in Europe, UK, AU, NZ or other country that does not use the Imperial measurements system. Final Word of Advice for homeowners who want to get the lowest possible price: It's too expensive to buy cheap roofs, as it will cost you double to redo it after it starts leaking within a year. This is from my vast experience. Has Matterhorn fixed their issues that you had concerns with? There is a lot of really good information on here! We always have customers ask us about price points to getting the different types of roofing materials installed on there homes. Now I can take the information from here and have something to share. Kudos to whoever put this all together! I’m concerned because I’m trying to decide if CertainTeed Landmark shingles are what I want, because a highly recommended roofer in my area only uses Landmark shingles. Your website says the company is reputable. But I’ve read that the company has had at least two class action lawsuits in the past 7-10 years based on defective products. Additionally, roofers, real estate agents, and homeowners all over the internet are saying that they have experiences premature wearing and cracking, and that CertainTeed does not stand behind their warranties. Does anyone have anything good to say about these shingles? You raise good question, but let me give you another perspective. Actually, every shingles producer has them … and if you read some more, you have lovers and haters of each brand. I read a post on a roofing forum, where the guy said he hates Owen’s Corning shingles, and will never use them again. Then 3 other roofers came and said they love them … go figure. In my opinion ALL asphalt shingles are not the best product for your home, when you have options like metal and some synthetic roofs. All shingles have problems. However, shingles are the cheapest – that’s why most homeowners install them. Back to CertainTeed – we actually did a good comparison of Landmark and Timberline (GAF) shingles which you can check out. – using quality underlayment (my personal favorite is DeckArmor by GAF, which you can use with Landmarks … but I don’t know how that will go with “system warranty”). 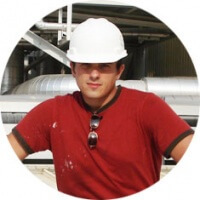 – making sure your contractor / installers do quality work when Flashing, Nailing, doing valleys, etc. When all of the above is done, even the cheapest 3-tab shingles will last a fairly long time. However, if most of the above are not done, even the thickest, most expensive shingles will fail prematurely. With that said, I don’t doubt that there are defective shingles… but to me ALL shingles are an inferior product, because its a commodity roof that is DESIGNED to last only 15-20 years, so you or next homeowner would have to buy a new roof, keeping production plants going, and roofers working, and everyone making money (except homeowners)… Its a well oiled machine that I call “US Roofing Industry” … it a part of a genius business plan created 100+ years ago. About warranties: basic warranty of any shingles (including so-called “lifetime” shingles) does NOT cover anything… I advise you to read it. Here is our in-depth comparison of GAF and CertainTeed shingles warranty. The only warranty that actually covers something is provided when you have “premium/certified” roofers install the product, using ALL components from same manufacturer. Bottom line – shingles are VERY MUCH the same across different manufacturers, with minor differences. CertainTeed are just as good (in my opinion) as GAF / Owen’s Corning / Malarkey / Tamko / IKO … There is no Toyota/Honda in shingles world … they are all like Kia 20 years ago! If I was having asphalt installed on my home, i’d be much more concerned with who does the work, vs the shingle manufacturer. Don’t overthink it. I hope this helps and best of luck. PS – i’d not go to (most) Realtors for a roofing advice. I have an 8000 square foot flat Motel roof. What’s the cheapest type of metal to put on this roof. It’s in pretty bad shape. The cheapest is 5R or 5-Rib corrugated metal roof panels – they cost the same as asphalt shingles, or LESS, because installation is really simple and fast. Keep in mind, 5-rib lasts much longer than asphalt, and is a cool roof, so you will also save on air-conditioning costs. 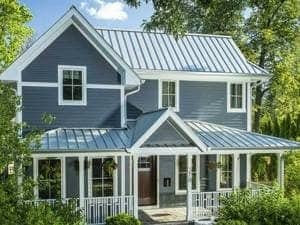 You should also check out our metal roofing cost guide. Chuck … I’d say you will pay about $400-500 per square so at 80 squares = $32000-$40000 for your roof. Depends where you are, and what type of old roof you have. I just wanted to say ,,,WOW,,, WHAT A GREAT SERVICE,,,I filled in a few spaces and presto I got a phone call from a very nice lady that set up an appointment for me. I appreciated such a quick response. Thanks, you made my day. We are looking to replace a flat roof on our commercial property in Cleveland OH area. What is the best option for us? Thanks. I would recommend PVC flat roofing membrane. An IB Roof is the PVC brand I primarily install, but it’s on the expensive side. However, there are less expensive PVC products that are also very good. Good luck – if you need further help, let me know. We have discovered fire damage to the trusses on our existing home. What is your estimate to replace a roof by replacing trusses and adding architectural shingles and having a 7/12 roof for a dimension of 31 X 50? We are looking to do the same: replace trusses and roof during an addition and remodel. Did you end up getting it done? We have the price for new trusses, but contractors are having a hard time figuring out a price to remove existing and add the new trusses. Engineers also are requiring shearing of existing walls. We are in central CA. How much did it end up costing for removal, new trusses & roof, and did you have to reinforce existing walls? Also what plays into the final cost, is your location and your contractor. This is a very useful and accurate calculator for roofing. I use it in my work and it helps with my estimates. Thanks for this. How much should I expect to pay for the tear off of a roof that has flat clay tiles ? Roof is 4100 sq. ft.
Hi Ted – I know this is late – but maybe it will help others. Even if it all fits in one 30 yard dumpster (which usually includes 4000-5000 pounds) you will have 11-12 tons overage, at $50-100 per ton. So do the math. I’d say an extra $1000-1500 just for disposal. word and standing by our work. Our web designers are having an issue when they added the calculator to the web site it comes up blank and says page removed. Can you help, is there a phone number I can direct our web designers to? Mark, we do not offer a roof calculator that you can put on your site. We can create a custom version for you, but there would be cost associated with it. Let me know if interested. Leo, I have a roofing company, wondering how to become one of your roofing contractors? Can you please provide cost estimates for Clay Spanish tile roof installation and also stone coated Spanish tile metal roof like Decra. Which is better clay or metal for Tampa, FL? Both clay tile and Decra / stone coated steel roofs are good for Florida. With clay tile you need to make sure your roof framing can withstand 8 lbs / sq. ft. roof load of clay tile. Most roofs cannot, unless they were built / designed to do so. Stone coated steel on the other hand is VERY light (0.9 lbs per square foot) … much lighter than asphalt shingles. If you are more than 1 straight mile from the coast, you can easily install stone coated metal. It will work out great for you. Costs wise, Decra type metal roof will cost $11-13 / sq. ft. installed. Clay tile will cost $20+ installed. So there you have it. I’d recommend stone coated steel. I have to tell you that your calculator is spot on to the quotes we’ve gotten. Two years ago we were getting quotes of $10,000. That price has jumped to $14,000 now. The only consolation that I have is that we have a mansard roof and the problem of ventilation seems to be more addressed now that edge vents have come out for that break in the roof. Two years ago, everyone wanted for my house to have a big attic fan. Now, roofers around here seem to have gone 180 on them. Thanks! We try to keep the calculator up to date with what contractors charge and with fluctuations in material costs. We recently created a roof price index (RPI) which tracks US average roof costs, based on what our visitors calculate for their roof replacement. 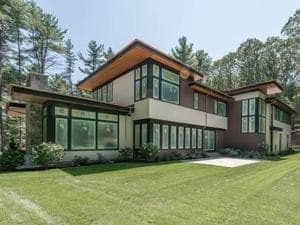 As far as ventilation, each roof is unique, but yea – mansards are hard to ventilate properly. looking for reroof cost for 1600sq ft roof area, gentle slope. Two skylights on one side. Want 25 yr shingles. Interested in materials cost and labor cost. You can use the calculator above for TOTAL installation price calculation, and our Roofing Materials Calculator to estimate materials cost. The difference between 25 yrs shingles (3-tab) and 30-yr (now called “lifetime”) shingles is about $7-10 per square, so for 1600 sq. ft. roof, subtract $112-160 from the calculation results. Looking to replace 10×20 low pitched roof to high enough pitched roof to allow for low ceiling loft in 10×10 back section in a year. We had a leak from ice that melted from the roof vent, now leaking when it rains. The house is 16 years old, and I am not sure if its best to do a repair or total roof replacement. I would like to get an estimate for a complete re-roof.